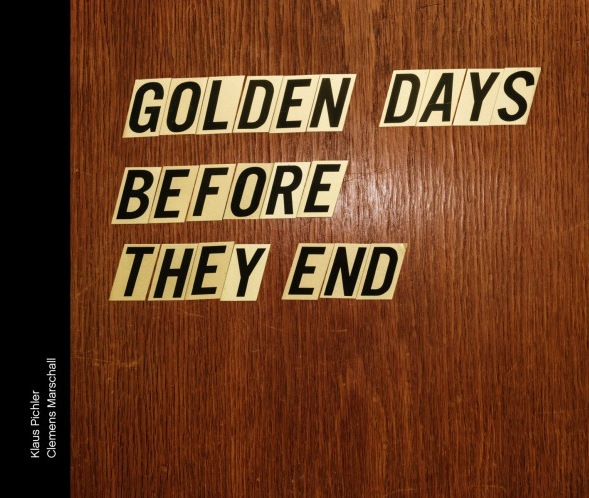 Book Review Golden Days Before They End By Klaus Pichler Reviewed by Karen Jenkins “The golden age is over,” concludes Franz Kases, owner of Cáfe Kases, speaking of a certain type of drinking establishment that once thrived in Vienna – bolstered by a cast of robust regulars who are now dying off and fading away. Golden Days Before They End. By Klaus Pichler. Golden Days Before They End. Photographs by Klaus Pichler. Text by Clemens Marschall. Patrick Frey, Zürich, Switzerland, 2016. In English. 250 pp., 120 color illustrations, 11x8¾". “The golden age is over,” concludes Franz Kases, owner of Cáfe Kases, speaking of a certain type of drinking establishment that once thrived in Vienna – bolstered by a cast of robust regulars who are now dying off and fading away. This crystalline self-awareness echoes many other owners’ reckoning with the looming demise of their dens and dive bars, and with it those loyal patrons who once packed their rooms. Those who remain, who seemingly turn a blind eye in the face of change, who have always chosen the escapist comfort offered within, are depicted in a series of extraordinary photographs by Klaus Pichler and interviews by Clemens Marschall in Golden Days Before They End. In images and words, the idiosyncrasies of each joint are secondary to the commonalities that emerge from a shared way of life – a drinking life with a backdrop of divorce, joblessness, illness and other pains. The owners and patrons form families, manifesting as irritant and antagonist, buoy and safety net. It’s no small thing to be an outsider in these hideouts, and yet their inhabitants don’t appear hostile to the intrusion. Pichler and Marschall create a collective portrait of the last of their kind in a funny, uncomfortable, deeply moving conjuring of life’s inexplicable contradictions. These people are awful, but they’re my family. I can’t stand this place, but I’ll never leave. Golden Days Before They End. By Klaus Pichler. Patrick Frey, 2016. Pichler’s opening photograph sets up a choice between Bíer and Realítät, and in the next image, four players establish the big themes of choosing the former – the celebratory, the combative, the distracted, the asleep. Their dramas unfold within interior spaces that read as time capsules; their tones, textures and appointments providing a same-as-it-ever-was reassurance to the regulars who have made themselves at home. Attempts at improvement and upgrade are deeply unsettling and met with regular resistance. Pichler knows how to tease out the beauty in decay (see his elegant series, One Third, about food waste). His flash may expose these sanctuaries’ dark and dingy chambers, but in Pichler’s views they are also richly burnished, with the patina of memorial. The photographs are at times crass and funny, but despite catching their subjects at moments of vulnerability and irreverence (sometimes literally with their pants down), don’t feel cruel. Balloons, those ubiquitous markers of special occasions seem semi-tragic and out of place, as these establishments are fundamentally monuments to the everyday. Life’s rich pageant is on full view, fully foreshadowing the story’s end. A man sits with red-eyed acceptance, cigarette dangling from his mouth, above his tracheostomy tube. His ashtray sits in line with a decorative urn, ashes to ashes – an encapsulated life, day by day, drinking at the bar.